This seems as good a time as any to launch into a topic dear to every environmentalist’s heart: the growth debate. Intuitively, it does not make much sense to suppose that infinite economic growth is possible in a finite world. Natural resources are limited, as is the Earth’s capacity to absorb pollution. To observe that we have not yet run up against any economy-shattering limits is to miss the point. Such undying faith in growth, according to biologist Paul Ehrlich, “is roughly equivalent to bragging about one’s ability to write a bigger check each month, while paying no attention to the balance in the account.” And while many predictions of ecological doom have come and gone, miscalculations over timing do not get us off the hook. The fact that limits exist, and that the world will eventually reach them unless we radically change course, is a matter of ecological, physical, and mathematical necessity. It is here that three points need to be made. First, the counterargument: human ingenuity (the ultimate free lunch!). Infinite economic growth need not be unsustainable, this line of reasoning goes, provided that it is geared towards such environmentally beneficial ends as recycling, mass transit, and wind farms. Technological fixes and the brilliant minds that think of them will always keep us a step ahead of disaster. Unfortunately, such solutions will merely delay the inevitable rather than prevent it — which is not entirely a bad thing. The challenge of convincing the world of the monumental socioeconomic change that is needed is not to be underestimated, and environmentalists so far have not been up to the task. In this context, buying time is an important part of any strategy for sustainability. However, the time available to us is limited. Yes, we can substitute renewable for nonrenewable resources, but even the former have fixed rates of regeneration. And gains in energy efficiency are circumscribed by the laws of thermodynamics. Growth can be “green” for only so long before reverting to more familiar forms of ever-increasing production, consumption, pollution, and depletion. A second consideration: distribution. If what I say is correct, we will eventually have to bring an end to economic growth or else have such an end forced upon us by the laws of nature. In fact, since the world population’s current ecological footprint is already too large to be sustained, we will almost certainly need to “degrow” — to reduce the overall size of the global economy. This is easy enough for somebody in a rich industrialized country to say, it might be objected, but what about those in the developing world, those for whom higher incomes are not a matter of greed but of basic dignity and survival? My answer, sadly, will not make the job of persuading my fellow First Worlders any easier. The only morally acceptable way to pursue degrowth is, at the same time, to massively redistribute wealth both between and within nations. This means that while the global economy as a whole shrinks, the world’s most impoverished countries will continue to grow until their standards of living improve. Developed countries, meanwhile, those with wealth to spare, will need to “pick up the slack” and degrow even further until some kind of equilibrium is reached. This is the only way to bring about global environmental sustainability without pushing the world’s most desperately poor further into destitution. My third point is one that makes even environmentalists a little uncomfortable: when we talk about growth, what we are actually talking about is capitalism. Private enterprise needs endless growth to survive. Without it, competitive market economies are reduced to zero-sum games where one person’s win is literally another’s loss. This is why recessions and depressions carry such heavy human tolls. 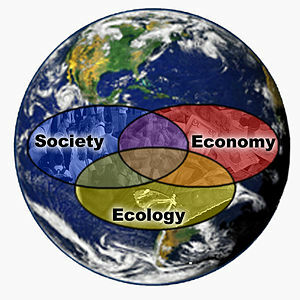 While a no-growth economy could easily be environmentally sustainable, it would not be socially sustainable unless we transition to a completely different mode of production. So, of the many forms of socialism out there, which should we adopt? How do we get there from here? How much time should we allow ourselves to make the transition? And how do we go about convincing regular people, to say nothing of those with money and power, to embrace such fundamental change? I leave these questions to someone more knowledgeable than I. In this post, I prefer to restrict myself to superficially discussing limits to growth and their moral and economic implications, and to marking the lack of long-term solutions from last week’s Rio+20 conference. But as always, I am happy to entertain contributions of ideas, strategies, and criticisms in the comments section below from any whose human ingenuity is not quite so subject to natural limits as mine. It’s official. 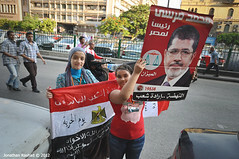 More than one year after the overthrow of hated dictator Hosni Mubarak, the Muslim Brotherhood’s Mohamed Morsi has won Egypt’s run-off presidential election with 51.7 percent support. This outcome was widely known ever since last weekend’s vote wrapped up. What was unknown was whether Egypt’s military rulers, the Supreme Council of the Armed Forces, would allow Morsi to take power. Apparently they will. What did the Brotherhood have to do to achieve this concession? Party officials reportedly spent the week after the vote negotiating with the military, and some have speculated that Morsi’s victory would be conditional on his acceptance of recent army power grabs — moves that many say amount to nothing less than a coup d’etat. In the absence of a permanent constitution, the ruling generals have been whittling away at the authority of the the president. Furthermore, two days before the run-off, the Mubarak-appointed Supreme Court dissolved the Brotherhood-dominated parliament elected last year. Party candidates won seats reserved for independents, but instead of simply calling by-elections where appropriate, the court rejected the legitimacy of the entire parliament and gave the military sole power over legislation. It is strange for me to find myself defending the Muslim Brotherhood. True, as far as religious parties go, they are far from extreme. They disavow violence and are sometimes compared to Turkey’s governing Justice and Development Party, that paragon of moderation within political Islam. However, virtually any mixture of religion and politics makes me uncomfortable, and it does not help that Morsi himself, in 2007, notoriously drafted a model platform for his party that called for the Egyptian presidency to be restricted to Muslim men. This is not what the young secular revolutionaries of Tahrir Square have been fighting for. I don’t agree with the Muslim Brotherhood or the Salafists — I have major differences with them — but it’s wrong to hide inside your bubble and go running to the military asking them to protect you, because for 60 years, their rule in Egypt actually has created this kind of poverty, extremism, radicalism. The only way is actually to open up for everybody. Because you know what happened to the Muslim Brotherhood? After the parliamentary elections, they won by 75 percent. In two months, in the presidential election, they lost half of their votes just because they were accountable for the first time in 80 years. Just give them power and let them deal with it. And believe me, this is the only way for democracy. In short, the situation is far from ideal. The Supreme Council of the Armed Forces is reluctant to loosen its grip on power. Neither Morsi nor his run-off opponent Ahmed Shafik, Mubarak’s last prime minister, is a liberal democrat’s dream candidate. But Egyptian democracy itself, even in its unsteady opening phase, is very much worthy of celebration. Let us hope that it lasts and grows, that the Egyptian people continue to show the courage and determination that inspired the world sixteen months ago. Suicide is a difficult case. I do not believe that people, under most circumstances, have a moral right to unilaterally kill themselves. An individual’s life is not the sole property of the individual; it belongs also to her or his loved ones, to all who are deeply affected by such an irreversible decision. But does that mean that suicide ought to be illegal? The state, with one-size-fits-all statutes at its disposal, is not well-suited to govern over such a heavily context-dependent arena. To do so would set a disturbing precedent of public involvement in a profoundly personal matter. This debate is largely moot here in Canada where, contrary to what many believe, there is no law preventing a person from taking her or his life. And despite my misgivings, that is probably for the best. What is prohibited in Canada, curiously, is assisted suicide — or at least, it was. In a case brought by Gloria Taylor, who suffers from ALS and wants the right to die at a time of her own choosing, the Supreme Court of British Columbia yesterday struck down the federal ban on physician-assisted suicide. Justice Lynn Smith gave Parliament one year to draft new legislation on the grounds that the current ban violates the Charter of Rights and Freedoms, not surprisingly citing the Section 7 guarantee of the right to life and liberty. Interestingly, Smith also cites the equality rights of Section 15. The issue of assisted suicide is relevant not to those able-bodied individuals who are tragically inclined to overreact to temporary setbacks, but to the sick and the physically disabled — those who spend their lives in agony. Often in consultation with their loved ones, people in these conditions may come to the conclusion that there is only one way out — and nobody can rightfully judge them for doing so. Unfortunately, such people are frequently incapable of carrying out their free and informed decisions without a doctor’s help. For this reason, says Smith, to ban assisted suicide is to discriminate against the disabled. Furthermore, it may even perversely encourage those with deteriorating conditions to rush their suicides while they still have the ability. A person’s death is never something to celebrate, but we should not go to despotic lengths to prevent it from coming about. Under some circumstances, it can be necessary. This does not mean that all or even most suicides are okay. But to make only assisted suicides illegal is, absurdly, to criminalize those suicides which, with the right safeguards in place, are the most morally defensible. Justice Smith has issued a ruling of compassion and respect for individual freedom, and I hope that the higher courts see things the same way on appeal. Alright, what longstanding Canadian institution shall we dispense with today? Queen Elizabeth II has been all over the news of late in honour of her Diamond Jubilee. Never satisfied, some of those rabble-rousing muckrakers in the NDP have refused to join in the festivities. That killjoy Pat Martin in particular, MP for Winnipeg Centre, is using the opportunity to call on Canada to sever its ties to the British monarchy. This may not be something I would describe as an urgent national priority, but it is worth thinking about. If we were to start over from scratch, would we want a hereditary ruler as head of state — even if he or she carried little real power? The glowing reviews of the Jubilee celebrations in London offer some hint of why one might reply in the affirmative. The Queen is a permanent and stable figure in our fickle world of politics, representing the immortal state rather than just this or that government. She stands above the fray, providing an air of dignity in contrast to the partisan bickering of our elected officials. But is that what Canadians today really get out of the monarchy? Or are the royals just a bunch of overblown celebrities? There is nothing wrong with the latter of course, but why must Canadian taxpayers subsidize such tabloid fodder to the tune of $50 million per year — a larger sum per capita than what the Brits pay? If we are to dish out that kind of money, shouldn’t we expect some kind of concrete public service in return — something more than the ephemera of televised parties and weddings and the superficially comforting thought that we are different than Americans? Well, the skeptic will rightly ask, what is the alternative? The easiest answer is that we could just carry on as usual with the Governor General. 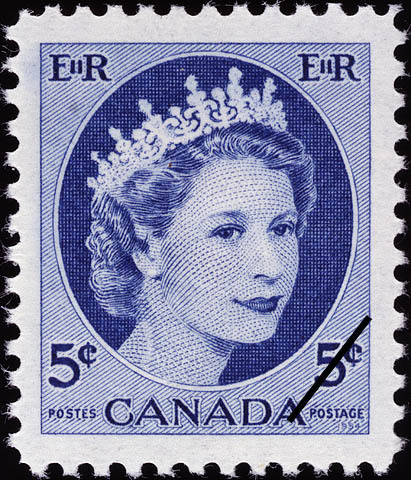 He or she would no longer simply stand in for the British monarch as a representative, but would instead become Canada’s official head of state. But if prime ministers are to continue appointing Governors General, only now without long-held traditions to restrain the drive for unaccountable power, might not this create a conflict of interest? Indeed it might. Perhaps the Governor General could be elected. But why is it alright to spend exorbitant sums on an election — the one in 2011 cost $291 million — if it is unacceptable to pay for a time-honoured hereditary institution? In fact, why pay anything for a Governor General — elected or appointed — if indeed the public purse is oh-so-precious? My imagined skeptic may have a point here. Why not get rid of the office of Governor General altogether? The prime minister could occupy the dual role of head of state and head of government. This would not require Canada’s transformation into a presidential system. Botswana and South Africa are both parliamentary democracies whose “presidents” (we could continue using the term “prime minister” — it’s not important) play both functions. Then who would step in on those rare occasions when the Governor General is called upon to cease smiling for the camera and do some real work? How would governments be formed in minority parliaments? Who would grant (or refuse?) a prime minister’s request for a prorogation? These matters could very easily be solved by simply agreeing upon procedures, establishing them in law, and leaving no room for personal judgement. Let us take government formation as an example. After an election, the law could give the party with the most seats a fixed maximum amount of time (two weeks, let’s say) to form a government. This prospective government would be required to survive an investiture vote in the House of Commons before taking office. If the party has a majority, completing this task would be easy. If not, it would have to negotiate with other parties with the end goal of fashioning a coalition or some lesser agreement. 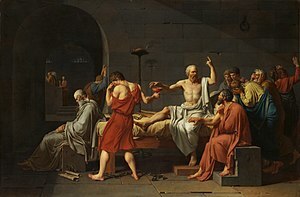 If this first party fails to form a government, the torch would be passed to the second party. And so the procedure would continue until we have a government. Easy, right? Canada needs no Queen, King, Governor General, or any other figurehead. The sooner we realize this, the sooner we can devote our public funds to serving the public. So please join me again soon for future installments in my ongoing series about how I know better than the wise, the rich, and the powerful. Until next time! Three months ago, I wrote a post warning of coming Senate elections here in British Columbia. Now it seems that the private member’s bill providing for such elections, despite Premier Christy Clark’s support, will not be making it through the sausage factory any time soon. Reason to celebrate? Unfortunately, no. Not to be deterred, our Premier assures us that an election to replace retiring Senator Gerry St. Germain will go ahead as planned without either enabling legislation or any of that pesky public scrutiny and debate that go along with it. I explained three months ago my opposition to an elected Senate — that it merely papers over the injustice of a fundamentally undemocratic system of representation, and effectively discards the principle of one-person-one-vote. Far better to simply abolish the outdated institution and look elsewhere for checks and balances. Yet despite the far-reaching influence that my mother assures me my blog posts ought to have, there remains a persistent myth that Canada needs a Senate in one form or another to represent regional interests. It is no coincidence that all federations have bicameral legislatures, this line of reasoning goes. Compelling, but not quite true. The world contains twenty-four federations, and fully five of them (Venezuela, United Arab Emirates, Comoros, Micronesia, and St. Kitts and Nevis) have unicameral legislatures. Admittedly, this is a small percentage, and pales in comparison to the majority of unitary states with no upper houses. In other words, despite this sprinkling of exceptions, it seems that federalism and bicameralism do indeed tend to go hand in hand. So let us examine the connections. First of all, is it right for the provinces to be given representation in one of the houses of the Parliament of Canada? I don’t see why. The proper agents for provincial interests are provincial governments, not federal lawmakers. 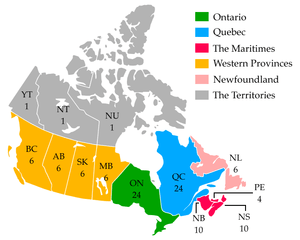 If the provinces are represented in the Senate, then shouldn’t the feds, by the same logic, be represented in a second chamber of the provincial legislatures? Or if the goal is to asymmetrically increase the influence of the provinces (not an entirely unreasonable goal), then would it not be more effectively and transparently achieved by means of a simple devolution of powers? Second, even if it were right to preserve provincial representation at the federal level, the Canadian Senate does not do this. As an appointed body, it merely serves the interests of the ruling federal party and its loyal hacks. Were Christy Clark and Stephen Harper to have their way and make the Senate an elected body, by contrast, its members would then be selected by the same people who select members of the House of Commons — i.e. Canadian voters — only their influence in certain parts of the country would be wildly and arbitrarily out of proportion to their numbers. At most, this would mean that the power of some provinces would be increased vis-a-vis other provinces, not that the power of the provinces in general would be increased vis-a-vis the feds. The only way to accomplish the latter goal through Senate reform would be to allow provincial governments to appoint Senators (the German model), and virtually no one in Canada argues for that. So please heed my warnings, anonymous blog surfers! Senate elections, whether in BC or elsewhere in the country, will do no good, and to the extent that they legitimize an irreparably flawed institution, may do considerable harm. Let us just abolish the blasted thing and be done with it.